Dynamic and timely coverage of aeromodeling across the country. Submit a promotional video that will play prior to Air Episodes: A webcast that is viewed on computer, tablet, or smartphone. Distributed through direct email and via AMA’s youtube channel. Distributed via email and YouTube. Available anywhere you have access to the internet. Harness the power of direct video marketing. 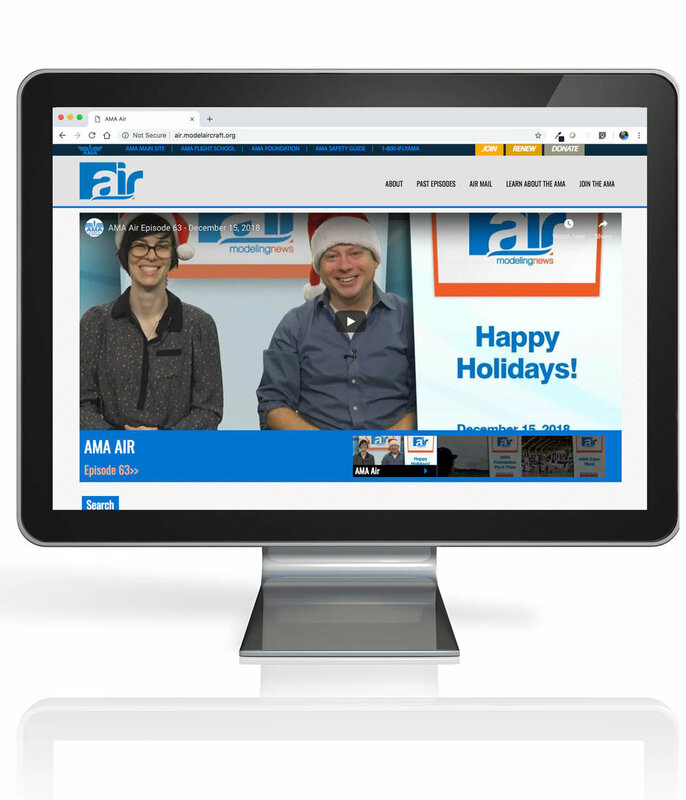 Our AMA Air Episodes generate more than 10,000 views each month on Youtube. AMA Air Episode advertisers will receive even more exposure with a bonus banner advertisement included in the announcement email sent to our membership promoting each episode that is sent to our membership. Your choice of one 30-second promotional video that plays at the beginning of an AMA Air Episode, or two or two 15 -second videos spaced apart in the episode. One 450x110 pixel banner in the Air Episode announcement email distributed to over 160,000 AMA members. Email digital ad files (450x110 pixel banner) and url to to Stephanie Frank at stephanie.frank@mci-group.com.